Come on a yoga adventure with us after school! Learn fun yoga poses, play games, and chill out with a relaxation story. Yoga helps you to become more flexible and stronger. You learn how to balance and focus better. Yoga makes you feel calm, peaceful, and happy. We currently offer after-school yoga classes in several school districts in San Diego County. Please look for flyers sent home with your child throughout the year, or check your school’s website and/or newsletter for digital flyers and announcements. 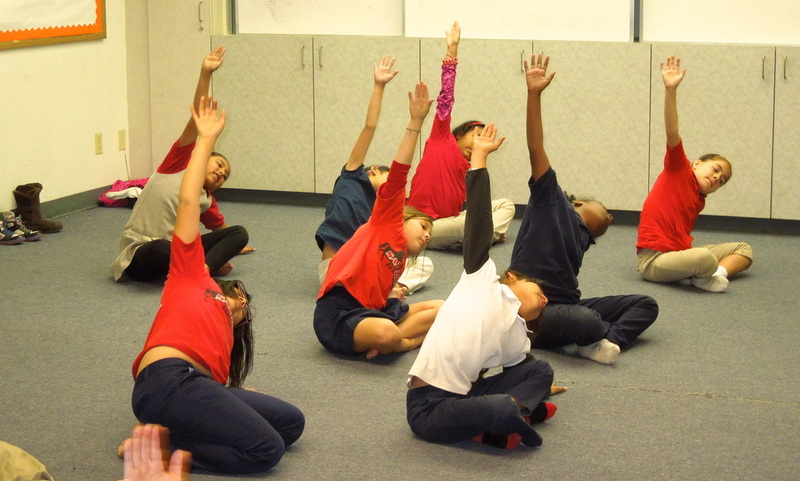 If your school doesn’t offer after-school yoga, please contact us to find out if your school is in our service area. We’d be delighted to set up a class. In our after-school yoga classes for tweens & teens students learn a variety of yoga poses & sequences. Participants also find out how to use mindfulness & breathing techniques to deal with stress. 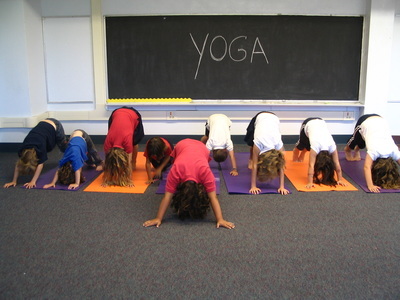 Each class ends with a guided lie-down yoga relaxation. Students new to yoga are introduced to the practice, while experienced practitioners will enjoy working their way through a balanced yoga routine. Students are encouraged to work at their own level, with modifications shown for more difficult postures to allow everyone to participate. As students experience the physical benefits of yoga, they also learn about yoga philosophy (kindness, gratefulness, honesty, truthfulness, etc. ), and how yoga can help us to live healthy and happy. 1. Complete the on-line Registration Form. 2. After you submit your registration form the Store page will open. 3. Once we receive your payment, your child will be added to the roster.